A couple of years ago, we could have told that the consumers’ habit to use Google to find the products and services they need was a trend. Now, it’s a reality you cannot be escape – all aspects of shopping, from figuring out where to find the things we need, to making the actual purchase, are commonly done online. Given Google’s place as the most widely used search engine, it’s no wonder that today’s online shopping experience often begins there. But Google is also where the shopping experience is starting to end. Prompted by the numbers showing that shoppers give a lot of weight to online reviews, Google has instigated its reviews feature. These reviews are a great asset for consumers, showing them what other people had to say about the products or services of businesses in which they are interested. And, if you want your business to thrive in the digital space, you need to look at them as an asset as well. Just imagine a scenario in which someone is looking for a service like the one your business provides, but is not a local and doesn’t know where to go. 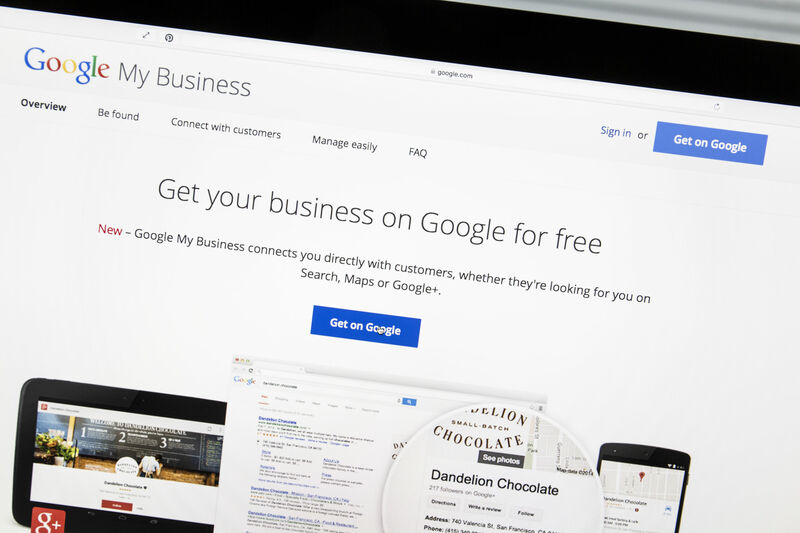 A simple Google search will show the business like yours in the area, but it will also show that some of the businesses have reviews, and some of the businesses don’t. Which one do you think the consumer will be interested in more? Next, the consumer takes a closer look at the businesses which have reviews. Some of them have better reviews than others. Some have more reviews than others, and some have a lot of generic reviews. The consumer will take all of this information into account, and choose the business which has the most reviews that are also authentic, and the best overall score. If you think your business can go without this hypothetical, tech-savvy user, think again – 88% of consumers put their trust in online reviews as much as they put it into personal recommendations. It is clear that you want to be on the right side of this, so the first thing you need to do to get the coveted Google reviews is – create a Google+ page for your business. You might already have one, and in that case, make sure it’s verified. It might take some extra time to do it, but it’s well worth it because Google’s search engine favors verified businesses. The next thing you need to do is encourage your customers to go online and share the experience they have had with your business by reviewing it. You should do it in your business’ online store or website as well as physical offices if it has them. You shouldn’t do it by asking your customers to review your business if they liked their experience. Just make sure you mention that you’re interested in their opinions and that you want to use them to better your business. There’s no use in insisting your customers review your business if they liked it because people have a higher tendency to write reviews when they have had a negative experience with a business than when they’ve had a positive experience. Around 35% of people share their bad experiences online, as opposed to 23% who share good experiences. But no matter how bad these numbers look, you shouldn’t worry about them. It’s highly unlikely you’ll get away without a single bad review. The trick is in knowing what to do when these bad reviews happen. If there’s a thing that worse than having plenty of reviews of Google it’s having a lot of them without a single comment from your business. You need to reply to all reviews your business gets on Google+, especially the bad ones. You can set up apps that will allow you to stream reviews and make them manageable enough to enable you to reply to them as soon as they appear. Make sure to thank the consumers on good reviews, and to give your side of the story on bad reviews, or just apologize if apologies are needed. Once you have everything set up, and the reviews are starting to come in, you should make an extra effort and promote your business’ Google+ page on other social media channels. Don’t be too shy to mention that one of the uses of the page is for your customers to leave their opinions on your business.